Few things inspire me more than witnessing someone speak the right words at the right time. As a writer, I love words and their power, but it’s more than that. It seems that when someone willfully speaks up and says what’s needed in a situation, they’re stepping into a higher purpose, even into their destiny, and that instantly affects the moment and the atmosphere surrounding it. Imagine the electricity in the room when Patrick Henry made his very personal proclamation to the Virginia Legislature in 1775, “I know not what course others may take, but as for me, give me liberty or give me death!” It stirs my heart just reading it. They were the perfect words for that moment. The same goes for Winston Churchill’s famous, “Never give in. Never, never, never, never, never give in. ” speech during WWII, or Martin Luther King, Jr’s, “I have a dream.” And there are thousands of other examples through the centuries. Tuesday, I stumbled on to one of those magical “right-words” moments. It didn’t really have historical significance and wasn’t spoken by a great orator or a head of state but it instantly and unexpectedly brought grace and healing to a difficult situation. It was a brief comment and a simple action by a 295 lb. football player, Jeff Saturday of the Colts. I live in Indianapolis, where superstar Peyton Manning leads the Colts. But people who know the game recognize that center Jeff Saturday is one of the biggest keys to Peyton’s success. Jeff works in tandem with Peyton, knows all the plays and moves, anticipates the other team’s responses and successfully protects (arguably) the most valuable body and brain in football. Jeff is also a strong Christian, a man known for being full of character on and off the field. He rarely gets the spot light, but yesterday he made the most of it. The players chose Jeff as a representative in the difficult discussions with the owners, and he became the guy to step to the podium with the announcement of a deal. He took that opportunity to offer grace, reconciliation and a glimpse of God’s caring heart when he thanked the late Myra Craft, wife of Robert Craft, owner of the New England Patriots. Myra had passed away in the middle of the negotiations. 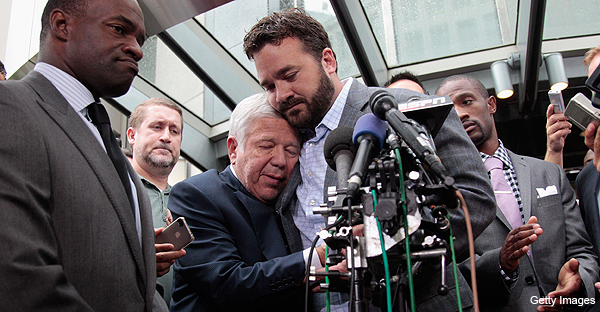 At the end of his remarks Jeff simply said, “A special thanks to Myra Kraft, who even in her weakest moment, allowed Mr. Kraft to come and fight this out. Without him, this deal does not get done. …. [He] helped us save football.” And then the big guy hugged the visibly grief-stricken Mr. Craft, right there in the middle of the press conference on worldwide TV. Whatever your opinion about football or the extended lockout, you have to admit this was a remarkable moment. It wasn’t that Jeff said something that will be remembered forever. He isn’t a great orator, he didn’t use the exact correct words in his little moment, but we knew what he was saying and I, for one, sensed it was in the spirit that comes from God. I’ve felt that same spirit moving in me from time to time. Never during a TV press conference–I haven’t had any of those–but sometimes in a meetings or a conversation or while speaking or writing. And it is sweet; it feels like I’m collaborating with the Holy Spirit. It often seems like God engineered the path that took me to that point. I didn’t have to make it happen or stress over positioning myself. I bet Jeff Saturday would say the same thing; that God’s hand was in all of this. In fact, I think God would like all believers to experience more of these kinds of moments. Not necessarily hugging someone famous on live TV, but the sense of collaborating with the Holy Spirit to release the right words or action in everyday situations; moments at work, or with friends, at church, or at home. I think that is authentic Christianity, even authentic evangelism; to simply collaborate with God in spreading hope and light into the small moments that make up history. Jeff Saturday was just doing the work in front of him on Tuesday, doing his job. And when the opportunity came to speak a word of life, he was ready. I want to be prepared for those moments, to be so full of life, courage and God that the right words and actions just flow naturally. Thanks, Jeff, for leading the way. 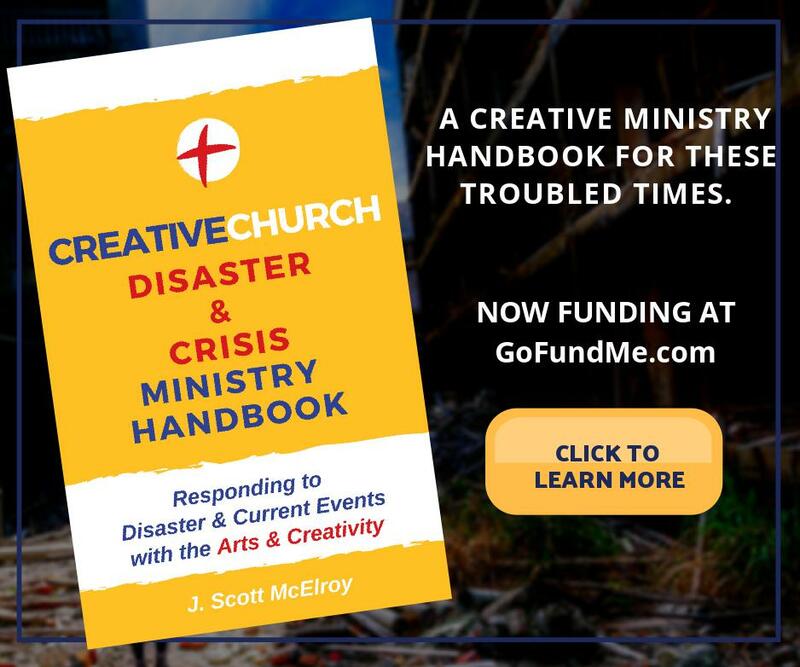 J. Scott McElroy is the author of Finding Divine Inspiration: Working with the Holy Spirit in Your Creativity (Destiny Image), Founder and Director of The New Renaissance Rising, and Director of Arts at Vineyard Community Church, Indianapolis, IN. He blogs at http://jscottmc.wordpress.com. 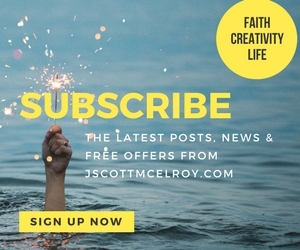 Reach him at: Scott@TheNewR.org.